An Ethiopian asylum seeker has been discovered alive in the hold of a plane that landed at Stockholm’s Arlanda airport on Friday morning, after smuggling himself on to an Ethiopian Airlines flight from Addis Ababa. The stowaway was found after the plane landed in Sweden just before 7am. The flight time for journeys between Addis Ababa and Stockholm is typically around eight hours. The man, who is understood to be in his 20s and was hoping to seek asylum in Sweden, was discovered when staff unloaded luggage from the plane, a spokesperson for Swedavia, which operates Sweden’s main airports, told The Local. “He was found when they were unloading the cargo from the plane. They opened the compartment and there he was. He was not inside a suitcase, he was sitting down in some way,” said Henrik Kelfve. Swedish tabloid Aftonbladet, which broke the story, reported that the man was checked over by medical staff at Arlanda airport soon after his flight landed. “He seems to feel pretty okay. A nurse is looking after him right now,” Anders Mattsson, a duty officer at Stockholm police told the newspaper just after 10am. An hour later, Swedavia confirmed that the man was in police custody. “After we found him we delivered him to the officers. They have him right now and will be asking him further questions,” Kelfve told The Local. 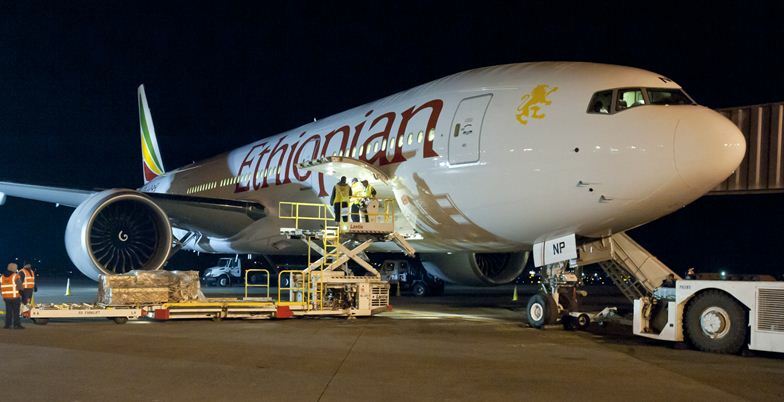 The TT newswire is reporting that the man told officers that he was employed at Addis Ababa’s international airport and had therefore managed to secure access to plane while it was on the runway. “We have talked to him via an interpreter and the purpose of the journey here was to seek asylum. He is not suspected of any crime and despite his spectacular route to Sweden his case will now be handled in the same was as other asylum seekers,” Stefan Färdigs, a police spokesperson at Arlanda airport told TT. Arlanda is Sweden’s largest and busiest airport, with flights to more than 180 destinations. Sweden was second only to Germany as the top recipient of refugees in the European Union last year. In 2014, it granted asylum to 35,000 people out 81,000 who had asked for its protection. Asylum applications from Ethiopians have boomed in the first seven months of 2015, shooting up by 140 percent over the same period last year.